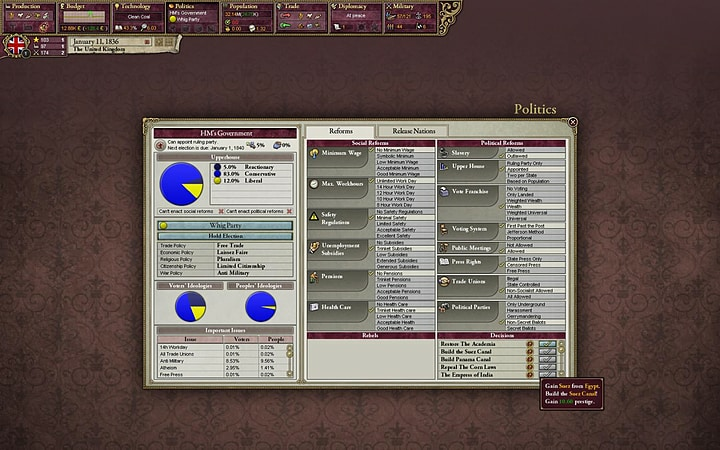 Carefully guide your nation from the era of absolute monarchies in the early 19th century, through expansion and colonization, to finally become a truly great power by the dawn of the 20th century. 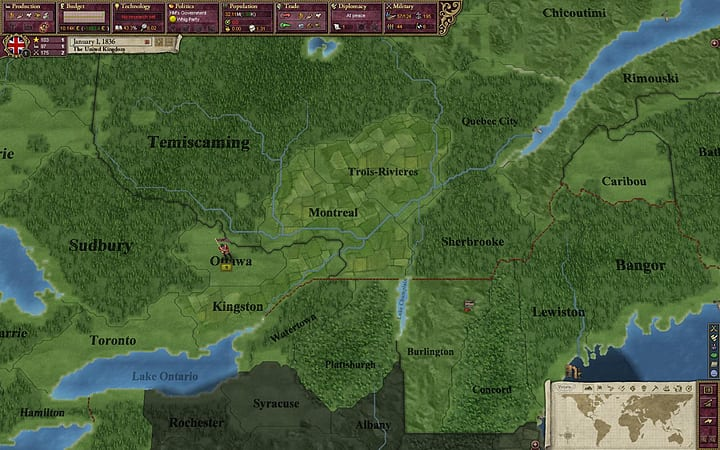 Victoria II is a grand strategy game played during the colonial era of the 19th century, where the player takes control of a country, guiding it through industrialisation, political reforms, military conquest, and colonization. Experience an in-depth political simulation where every action you take will have various consequences all over the world. 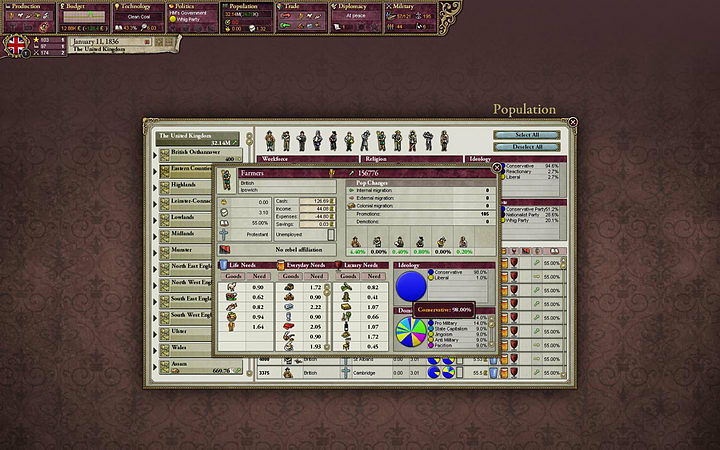 The population will react to your decisions based on their political awareness, social class, as well as their willingness to accept or revolt against their government. Historical and Dynamic events guiding your country through the history.